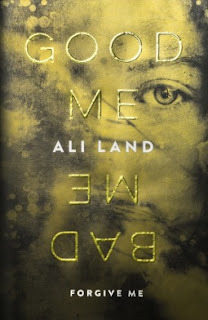 Good Me Bad Me is the debut thriller from Ali Land which explores the life of teenager, Annie, in the aftermath of her mother's conviction as a serial killer of children. Annie has started a brand new life: a new name, new family, new school and hometown. Only her foster parents know of her background: that her birth mother is the name headlining the national newspapers and TV, that she will soon need to be a witness at court, that her foster father is also her therapist. Now renamed Millie to protect her identity, this fraught teenager must battle with her own thoughts and instincts: the Good Me Bad Me of the title. She wants to be good, to throw away the cloak of malice wrapped around her by years of her mother's abuse and the horrors of what she has endured. But is she as innocent as she seems to the outside world? Now I really, really wish that booksellers would refrain from comparing novels like this to other bestsellers. Because I wanted to enjoy this book, I truly did. Sadly for me the experience was tarnished by expecting something of the story that didn't materialise: a "killer twist in the plot, something which I had thought would tip my understanding on it's head. That didn't happen for me. There wasn't really a point at which I was shocked at a clever twist in the narrative, though in retrospect that is likely because I'd been paying too much attention, looking for clues throughout. I will say though that this novel was very well written, particularly for a debut.. The story may be regarded as controversial subject matter, and I sincerely hope that Ali Land receives praise and recognition for her work. Booksellers take note: please PLEASE do not associate this book with others it bears little resemblance too. It spoils the enjoyment for readers! As always, I will rate this according to how much I enjoyed it, rather than the "quality" of the work. Miss Land, if you are reading this, please do not be offended. I look forward to reading more of your writing and promise next time not to read any comparisons beforehand! Rating 3.5 out of 5 stars.